Summer is just around the corner, which means it’s the perfect time to stock up on beach-ready essentials. 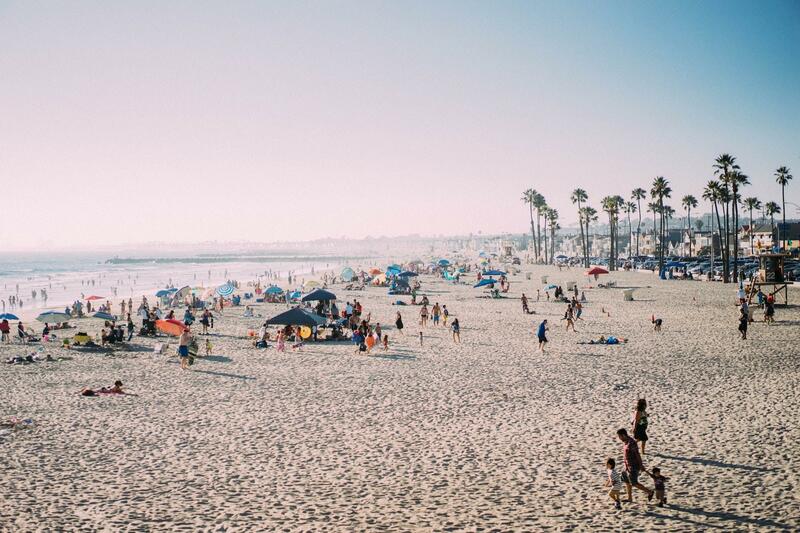 But instead of buying new towels, flip flops, or bathing suits that put more of a drain on our natural resources, we've put together a guide to being an eco-friendly beach bum this summer. 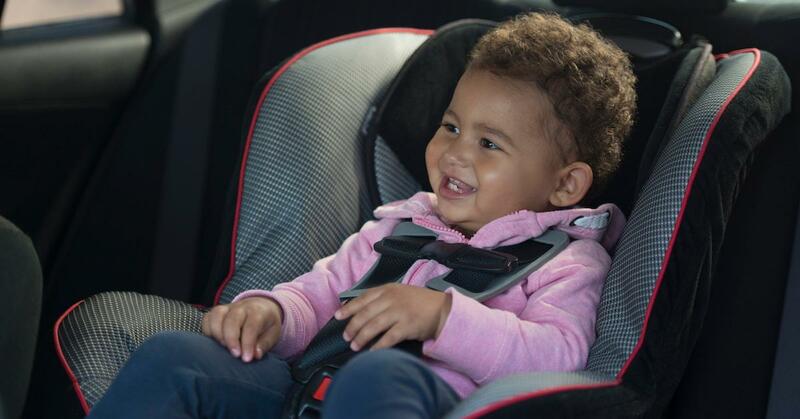 From footwear to beach bags, sustainable design and eco-friendly materials, we've got you — and everyone else in your family — covered. Don't forget the sunscreen! Natural hemp on our Original single layer EVA midsole with arch support. Rainbow Sandals has an enviable reputation for its high-quality, long-lasting footwear. 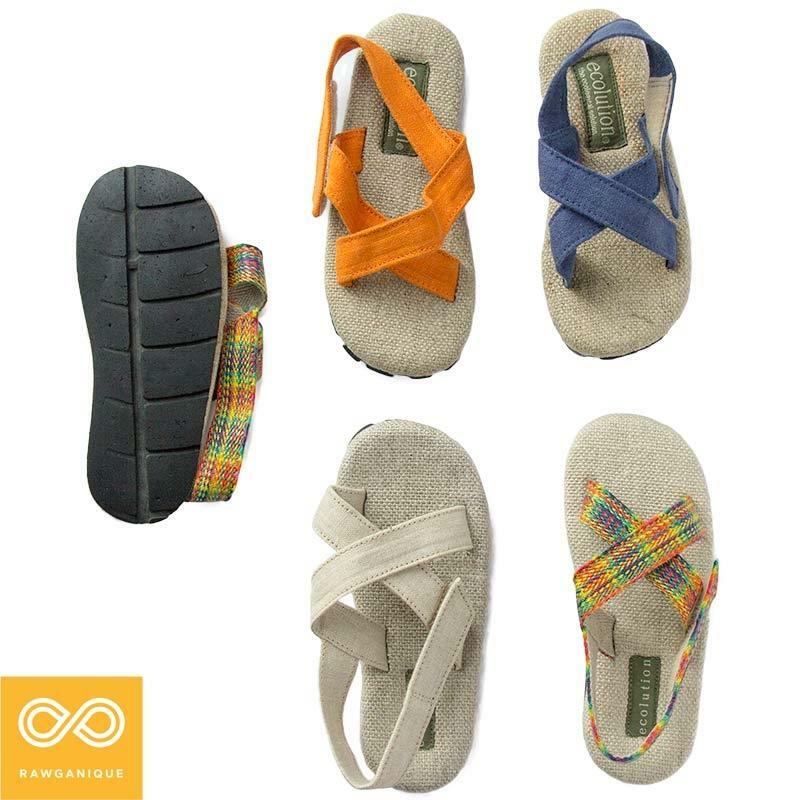 The company's popular sandals are all crafted by hand, feature recycled materials, and even include a line of hemp duds for men and women with double stitching, natural durability, and good looks that required no animal products to make. Rawganique's hemp sandals for children are made with 100-percent organically grown hemp from Europe, recycled tire soles, is sweatshop- and animal-free, breathable and soft for comfort. Indosole is a certified B Corporation, meaning the company meets strict standards of eco- and social performance. Its Prahu boat shoes and flip flops, for example, feature vegan and upcycled materials, and no fuel-powered machinery. When you speak, we listen. Based on your feedback we have made several recent improvements to the Ecuador Huarache Sandal, including a now true-to-size fit! The huarache dates back to pre-Columbian Mexico and has since became a warm weather staple shoe across many countries and cultures. Our Ecuador Huarache Sandal is made by hand in an ethical factory we own and operate in Peru. Tap to shop. Every pair of Nisolo shoes and sandals supports rainforest conservation efforts in the Amazon Basin. Do your part with the company's Ecuador Huarache Sandal for women, or the Alejandro Woven Slip-On for men. 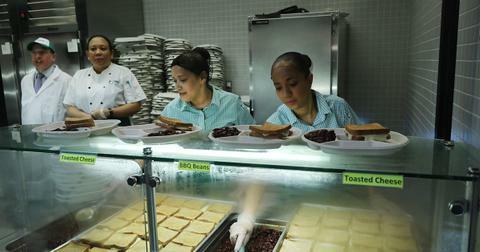 All Nisolo producers receive better-than-fair-trade wages and healthcare. The Little Market is a non-profit, one-stop shop that supports female workers by selling their handmade crafts, like the Razafindrabe Collections Polka Dot Tote. 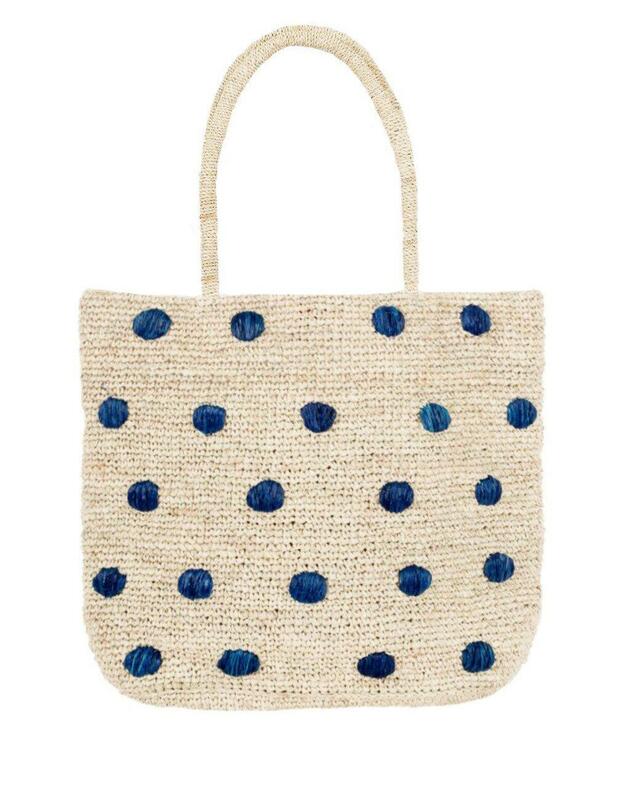 This perfect beach bag is hand-woven from raffia and employs artisans in Madagascar. Rareform has crafted a business model out of turning billboards into functional items, from iPhone cases to wallets. The company's line of bags (including basic totes and surfboard bags) breathes new life into the durable vinyl, which is vegan, lightweight, and totally waterproof. Mara Hoffman is a leader in luxury sustainable fashion, so it's hard to choose just one of her amazing swimsuits (and truly, you can't go wrong). That said, we're pretty fond of this Mia One Piece, which is made from 78-percent recycled ECONYL® nylon (made from pre and post-consumer waste such as fabric scraps, fishing nets and industrial plastic waste). Oh — and this baby has SPF 50 built right into the fabric. Faherty guarantees all its American-made products for life, so with minimal investment on the company's timeless styles, you're quite literally set forever. Start with the company's Desert Heat Tahiti two-piece for ladies, Chankillo Horizon Board Short for men, Turquoise Riptide Kids Beacon Trunk for boys, and Paradise Stripe Lulu Swing Dress for girls. All of the beachwear is made from Faherty's signature fabric, crafted primarily from recycled plastic bottles. Fair Harbor just launched its new women's collection, featuring swimwear made from recycled plastic bottles. We're big fans of the company's Bayview One Piece, 88 percent of which is comprised of recycled polyester from those bottles and is durable water-repellent for a crazy quick air-dry. Guys should also absolutely check out Fair Harbor's line of board shorts (we like the Sea Pine Nautilus model). Nomadix has created a line of sustainably built beach towels that function as camp, road trip, and yoga towels as well. Every last one of these high-quality, long-lasting, piece-of-art towels is made from certified recycled material. Everyone in your family needs one of these. Madewell prides itself on working with local and international suppliers to ensure responsible sourcing of materials and care of workers. 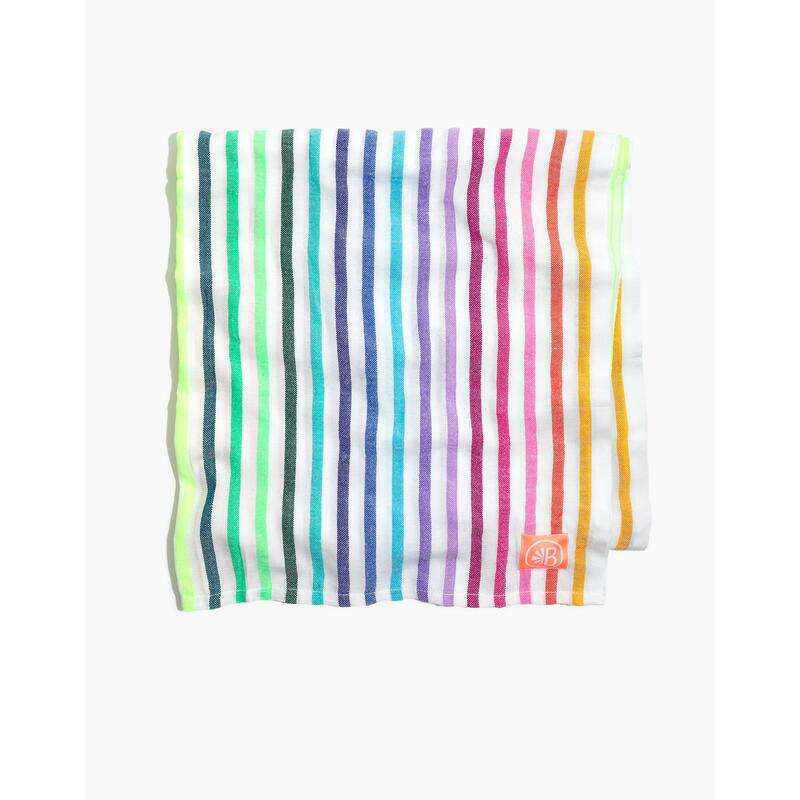 Wherever possible, Madewell items are also eco-conscious; like this towel, which is made from regenerated cotton, acrylic and polyester. Wir haben gestern erste Schwimmversuche mit den #Schwimmkissen von Schlori gemacht. Es sah schon ganz gut aus wobei bei der kleinen Maus (3 Jahre) doch das Planschen noch viel mehr im Vordergrund steht. 😂 Wann und womit haben denn eure Mäuse das #Schwimmen gelernt? Habt ihr einen Kurs besucht oder haben es sich eure Mäuse einfach bei euch abgeschaut? Die "Schloris" zumindest überzeugen uns immer wieder. 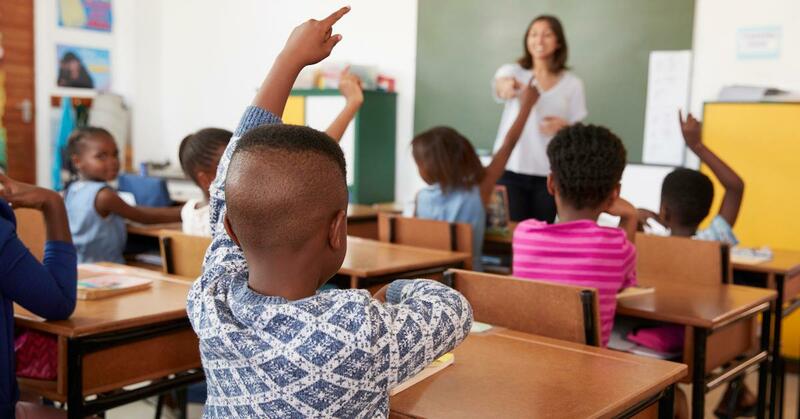 Die Kinder haben die Arme frei und können authentisch die Schwimmbewegungen lernen. Je nach Fortschritt kann man die Schwimmkissen dann weiter oben oder weiter unten anbringen. Und natürlich halten sie die kleinen Wassernixen auch oben wenn sie einfach nur im Wasser toben möchten. 😍 Natürlich findet ihr die Schlori Schwimmhilfen auch bei uns im Onlineshop. German company Schlori has been producing these 100-percent cotton, plastic-, PVC-, phthalate- and BPA-free swim floaties since 1936. Without so much as a plastic or rubber valve required to inflate them, these one-size-fits-all puppies inflate by being saturated with water and then blown up. Pick up a pair at the Life Without Plastic shop. 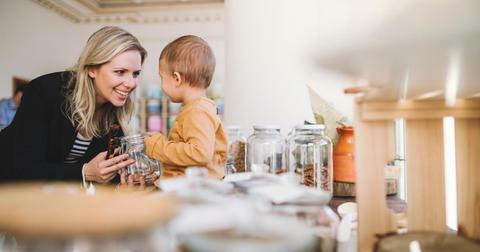 Sure, you can go old-school and get your kiddos a tin bucket from a hardware store with wood and metal tools (retro is in...). 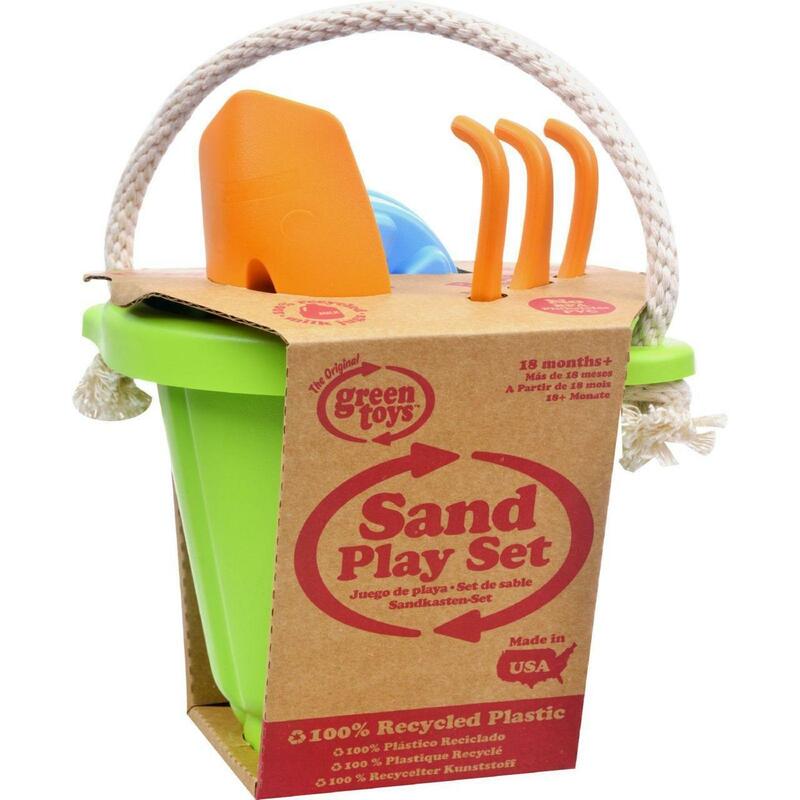 But you can also get this adorable, recycled-plastic sand play set from Green Toys, where all the toys are made from recycled plastic and made in America. For all the little mermaids and mermen at heart (don't worry, they make adult sizes too), check out these super cute Merfins, available at Magic Cabin's fair trade shop. The tails are made out of recycled rubber, long lasting, and easy to pull on and off. Yes please.